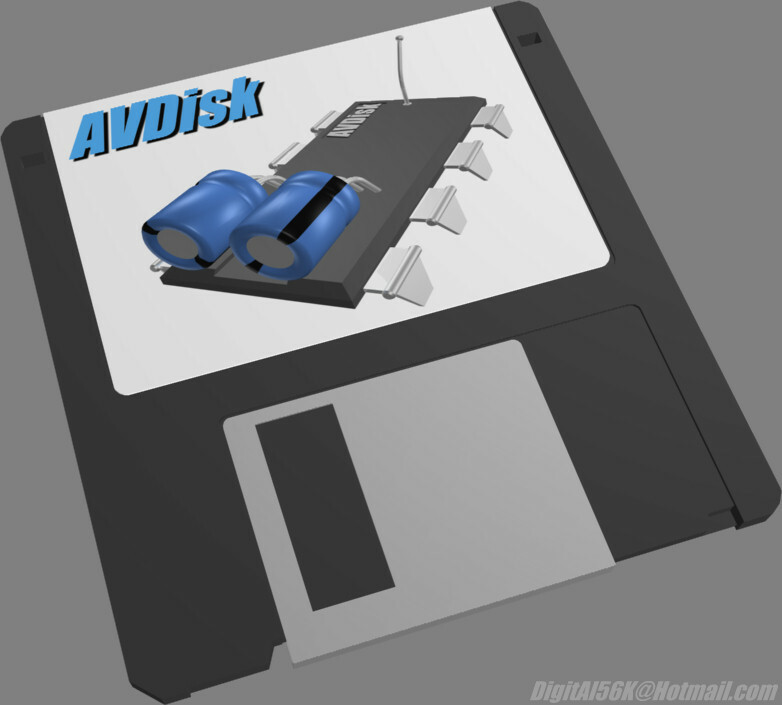 Due to the disappearance of DOS-based AV solutions, AVDisk is not developed anymore. The information on these pages may be outdated and is provided for reference only. As DOS-based antivirus solutions will probably cease to exist in the near future, the development of AVDisk has been stopped. Version 9.3d and v8.1n are considered the final updates. QMS has been removed from both packages to keep them from expiring. NTFS4DOS (for v9.3+) - Download NTFS4DOS Personal and install it prior to installation of AVDisk. For v8.x users only: This version also requires you to download PKZip for DOS version 2.50 or higher from PKWare in order to span software accross multiple volumes. Version 9.3c updates qms.exe. 8.1m has been updated as well. Version 9.3b updates qms.exe. 8.1m has been updated as well. Version 9.3a updates qms.exe. 8.1m has been updated as well. Following suggestions from Jörg Obenaus, the MS-DOS-based variant has been updated to Version 8.1m. Changes include an adapted installation program, corrections in the F-Prot help as well as an increased default RAM drive size. Starting with Version 9.3 and following a suggestion by Euler German, Sysinternals NTFSDOS has been replaced by Avira NTFS4DOS, which allows for write access to NTFS partitions. Version 9.2h updates qms.exe. 8.1l has been updated as well. Version 9.2g updates qms.exe. 8.1l has been updated as well. Version 9.2f updates qms.exe. 8.1l has been updated as well. Version 9.2e updates qms.exe. 8.1l has been updated as well. Version 9.2d has been adapted to changes in AVG. (Thanks to Chris Ratkowski.) Furthermore, small changes in the startup system were applied and an updated QMS was added. An updated version 8.1l ist available as well. Make sure to read the installation section and avdisk.txt inside the archive for setup instructions. In Version 9.2c support for AVG has been updated. Therefore, an updated version 8.1k exists as well. Version 9.2b updates qms.exe. 8.1j has been updated as well. Version 9.2a updates qms.exe. 8.1j has been updated accordingly. Version 9.2 replaces the floppy keyboard driver and adds support for various keyboard layouts following a suggestion by Veronica Loell. Additionally, the FreeDOS kernel version and command interpreter have been updated and a new version of qms.exe has been introduced. The MS-DOS version 8.1j has been updated with the latter as well. Version 9.1 fixes a bug that prevented NTFSDOS from being loaded at startup. Version 9.0d renews our QMS license and adds support for Sophos Anti-Virus to AVDisk. All that gives us also a "new" MS-DOS based Version 8.1j. Version 9.0c updates qms.exe. v8.1i was updated accordingly. Furthermore, new versions of the FreeDOS kernel and the command interpreter FreeCOM were introduced on the disk set. Version 9.0b updates qms.exe. v8.1i was updated accordingly. Version 9.0a updates qms.exe. v8.1i was updated accordingly. Version 9.0 finally comes with FreeDOS as its basic operating system. If you upgrade from a previous installation of AVDisk, please delete your old installation before installing the new one. Users of the new version will benefit from the possibility to create DOS bootdisks from within Windows NT/2000/XP natively now (of course Win9x is still supported as well). Additionally, you may scan (means: read-only!) NTFS volumes provided you have downloaded NTFSDOS (see below). However, the disks created may not work on all systems/with all programs. So try out your disks after having created them! If the new version does not work for you, you may still get the most recent old one below. It will also be updated with new versions of QMS, but its version number will not increase anymore. Version 8.1i updates qms.exe. Additionally, the new boot system is finally on its way. We are currently testing it; if you want to participate, just drop us a mail. In Version 8.1h an updated version of qms.exe has been added. No news regarding the planned new boot system yet, sorry. In Version 8.1g AVDisk gets its own registered copy of qms.exe -- to be used in conjunction with this distribution only! Thanks to Ralph Roth! Version 8.1f again gives us a new version of qms.exe. Version 8.1e again updates qms.exe -- 10 more virus types detected by the quick memory scanner during install-time are the benefit. Version 8.1d comes with an updated qms.exe. Apologies to all users who downloaded v8.1c and immediately got a warning about the program being not up-to-date. This release should fix this problem. More specifically, the language change of avdisk.exe via command line wouldn't work: avdisk.exe would crash with a "runtime error 005". This should be fixed by now. Version 8.1b corrects a bug which caused AVDisk not to find scanners if their files were write-protected. Version 8.1a adds a French translation thanks to Frederic and corrects some obvious mistakes in the readme file. Version 8.1 makes the .INI system of avdisk.exe a bit more flexible and renames avdisk.ini to avdisk.def (nothing an end user should worry about, that's just to keep the programming work easy) and introduces multiple language support. Your favourite language (English or German at the time being) can be selected during setup; afterwards, you may use a new switch to change the language setup (refer to avdisk.txt for information on how to accomplish this). Additionally, envinfo.com by Ralph Roth has been added to the archive. It displays some info about the environment memory status while booting up. Futher, a small bug in avdisk.exe preventing copying of write-protected files has been removed. This also should correct the problem that McAfee's scan.dat could not be copied while VShield was running (thanks to Laura Fredericks for the note). avdisk.exe now produces a log of its actions (avdisk.log). Some users downloading Version 8.0e in the last days might have experienced problems while running the setup routine: The first screen would tell the user to "get a newer version of the program", as this one would be "more than 4 months old". Version 8.0f fixes this by replacing qms.exe with a newer version. Version 8.0e makes another modification regarding IPE, mostly cosmetical. As Inoculate IT PE will no longer be a free product and has been renamed to EZ Antivirus, AVDisk was successfully tested with the newly named product (thanks Clay). This version will recognize both products. Version 8.0c fixes a bug in Inoculate IT PE support (missing entry in avdisk.ini) and adds support for Grisoft AVG and Dr Web. avdisk.txt has been revised in order to point to the new homepage at avdisk.org. Version 8.0b includes support for Inoculate IT PE. With Version 8.0a, AVDisk takes out support of AVPLite due to the fact that it is not being developed anymore and suffers some detectional restrictions and memory problems. Support for ESET NOD32 has been added. Some minor changes in avdisk.txt have been done and a reference to the Claymania ACV sites has been added. In Version 8 of AVDisk all core components have been rewritten. The main program has become a standalone executable, install.exe has been rewritten from scratch to support the new system. Furthermore, a basic memory virus scanner (qms.exe by Ralph Roth, see Rose SWE) has been implemented during the setup process to make sure the system is clean to set up a rescue disk set. Additionally, support for McAfee's ScanPM (DOS) has been implemented finally. Version 7.1a fixes a bug that caused command interpreters not to be found on non-standard DOS environments. NOTE:Contrary to previous statements here v7.1a does not contain support for McAfee's Scan yet (due to an archive packing error). This will be fixed with the next version. Version 7.1 includes a new version of Install which solves a stack overflow issue on systems with heavily nested directory structures. Version 7 contains a new "Update" feature to update your startup disks with less effort, better user prompting and a couple of small bug-fixes. Installation is now a whole lot easier thanks to an install program by Frederic Bonroy.